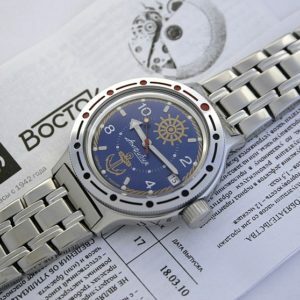 Vostok 2435.02 automatic movement, 32 jewels. Shock resistant balance. 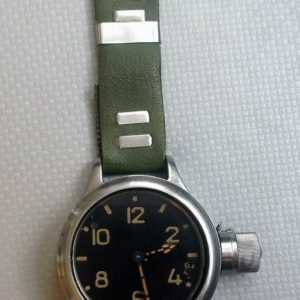 Water resistant 20 ATM / 200 meters. All stainless stell case. PVD coating. Diameter 45 mm, thickness 13 mm. Carbon fiber dial. Luminous Superluminova. Power reserve 30 hours. Average daily rate -20…+60 seconds. Frequency: 19800. 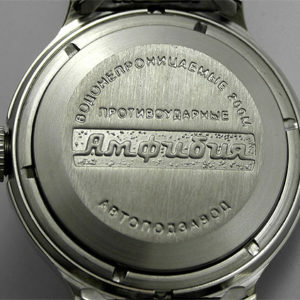 Stainless steel band (22 mm). Comes in the original box and with factory documentation. 2 year warranty.